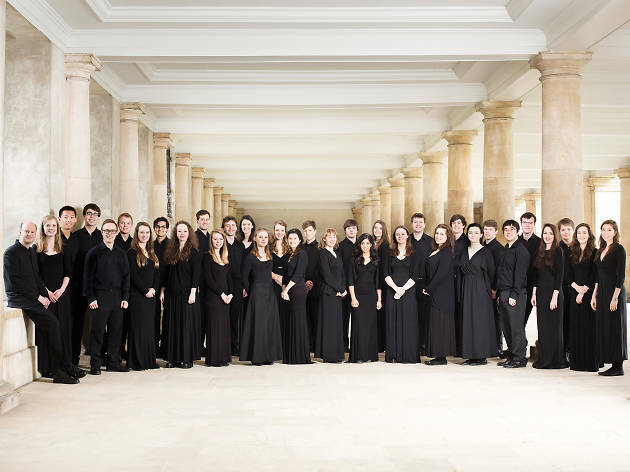 Named the fifth best choir in the world by the UK’s Gramophone magazine, the Choir of Trinity College, Cambridge University, is heading to Hong Kong as part of its annual international tour. Under the direction of Stephen Layton, the Choir has released a swathe of acclaimed recordings over the years, including Beyond All Mortal Dreams: American A Cappella, which earned the ensemble a Grammy nomination in 2012. The 30 incredible undergraduates will be presenting two very different programmes on either side of our fragrant harbour this July. The first, Choral Masterworks, features a combination of old and new sacred pieces. "This programme consists of music with which both Trinity College Choir and I are closely associated," Layton says. "The music has either been written for me or for the Choir. It’s music that we want to share with a wider audience." Layton is particularly keen on Hymn of Ancient Lands by Joseph Twist, which has been composed specifically for this tour. In fact, together with works by composers Edward Elgar and Herbert Howells, among others, the programme should prove to be a well-rounded one that fully showcases the Choir’s metier in worship and evokes Trinity College Chapel, where the Choir leads services three times a week. The second concert, It Don’t Mean a Thing If It Ain’t Got That Swing, takes a slightly different shape. Promising a change of pace, it brings a more lighthearted secular programme ranging from Renaissance madrigals to contemporary pop and jazz arrangements to Hong Kong audiences. 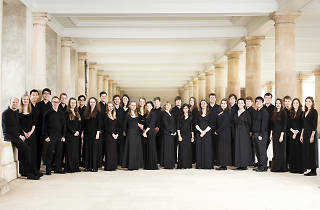 It is music "which is sung annually at the Choir’s Singing on the River concert," according to Layton, which sees the vocal ensemble performing from punts on Cambridge’s River Cam to an audience of more than 2,000 people. Other English universities which do the same include Oxford and Durham, who also send their choirs out to sing along their respective riverbanks. "This is music that the students love to sing," Layton says. "This programme has been a 10-year discovery for me and it has been refined over that time. The repertoire is diverse. There is some of the earliest secular English works, as well as contemporary jazz arrangements." Layton goes on to unveil a fascinating fact about the successful group - it is actually a constantly evolving group, with around one-third of the members graduating and being replaced by incoming students every year. Despite such constant change, Layton makes sure that the famed Choir stays true to its voice. "In terms of the sound world, the choir has not changed radically over the past decade," Layton says. "I think that the sound is in the ears of the beholder and the new members of the Choir come to inhabit this sound world by osmosis." Keeping the same sound with a constantly revolving set of singers though is certainly an achievement in itself. "It’s down to the commitment of the young people who are at a turning point in their lives," Layton says. "They dedicate their energies and focus to the Choir. An example of this might be the Choir’s ability to memorise large quantities of music by heart, a practice which allows them to communicate better with the audience." The energy required doesn’t stop there, either, with Layton pushing for the Choir to perform more technically demanding works in the near future. He tells us the next goal is to make a recording of J. S. Bach’s B Minor Mass in January. "It is a work which is, for me, one of the summits of Western choral music," he enthuses.